Let the dawn of the New Years first day be the beginning of a new era with an invisible Almightys blessings showered on everyone to be always true to their own first version. The birth of New Year brings a great sense of joy and happiness of all. It marks the end of bygones, the sad and bad memories and sets the pace for a new and fresh life. 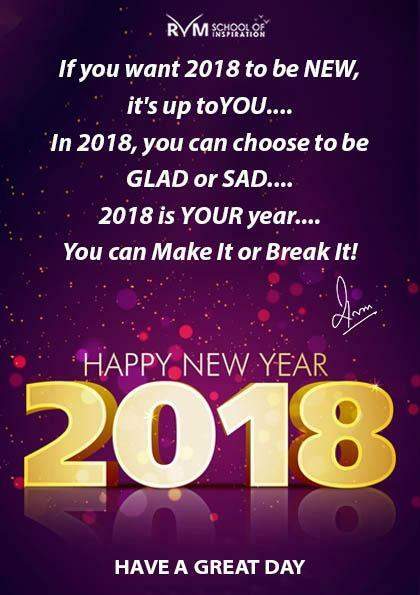 New Year resolutions are bountiful and it gives a lot of hope and rejoices to take a New Year resolution and try your best to fulfill it throughout the year. To quote Bill Vaughan “an optimist stays up until midnight to see the New Year in. A pessimist stays up to make sure the old year leaves”. 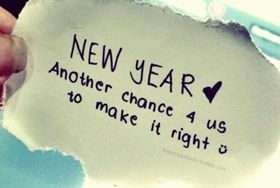 Every year, the New Year gives us another chance to set right our mistakes and resolve ourselves not to commit them again. New Year also marks making new friends and getting into the general stream of the whole new humanity. Though most of the New Year resolutions are not fulfilled, we continue to take a new one every year with the hope that this year would be different. Let this hope survive as hope is the string that binds us all.